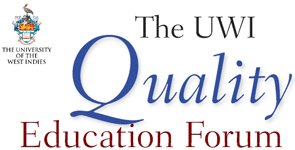 "The Humanities and Education in Focus"
The theme of this volume of the Quality Education Forum (QEF) brings the many disciplines in the humanities at The UWI to centre stage. The intention is to underline the indispensable role that the humanities have played since the time of the ancient Greeks and Romans, in helping individuals to understand human existence, experiences and situations. Indeed, all the disciplines in the humanities and disciplines that may also be classified as social sciences are all central to equipping students with a well-balanced education.